People often ask us, what is the best digital camera that they can purchase? However we always say that it is impossible to suggest the best digital camera since the best ones for professional and enthusiasts are way different from camera for beginners. Furthermore, there are multiple options available in the market ranging from Point and Shoot cameras and Mirrorless Cameras to DSLR Cameras and Entry-Level cameras. If you are interested in knowing the top 5 cameras in specific categories, then continue on with reading this article. We truly believe that it is better to divide all cameras into their respective categories so it becomes easier for users to pick and choose. Different cameras have different features according to their specific types. So, rather than choosing amongst the popular top 10, go a little in depth and analyze each product according to your preference. Over the last few years, Mirrorless Cameras have become all the rage, everyone including professionals and enthusiasts is inclined towards it. The choices have become countless and there is a model to cater everyone, be it the entry-level models to the top quality beast DSLRs. Mirrorless cameras are also known as CSC or Compact System Cameras. People often don’t know the difference between a mirrorless camera and a DSLR camera. A reflex mirror is an important part of a DSLR camera. The mirrorless camera, as the name suggests, doesn’t have a reflex mirror. There is no optical viewfinder. For nearly six years now Sony has continued to stick to the mirrorless cameras or CSCs. They haven’t produced a DSLR camera since then and maintained the SLT model (Single Lens Translucent). Why should we buy them? 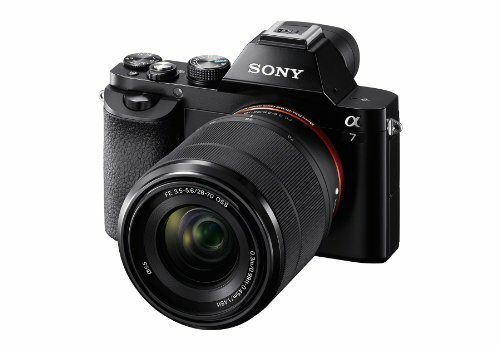 Sony A68 is a more advanced version of Sony A58 and gives competition to the market leader A77 II. A68 nestles between the two, it was manufactured to give the advanced beginners something to play with. When you weigh the specs on this model you will realize the price Sony is demanding is way less than it should be. It has plenty of features that only expensive cameras have. Sony has been manufacturing some of the best digital cameras out there, however, when it comes to DSLR camera, professionals, enthusiast and beginners alike opt for Nikon or Canon. This is where things get interesting since Sony A68 is way cheaper than other models with similar features. Cutting corners on the built and the kit is inevitable. The LCD screen doesn’t have an impressive payoff and the kit lens is mediocre. Once you use it, you will realize that the shutter release is too sensitive. 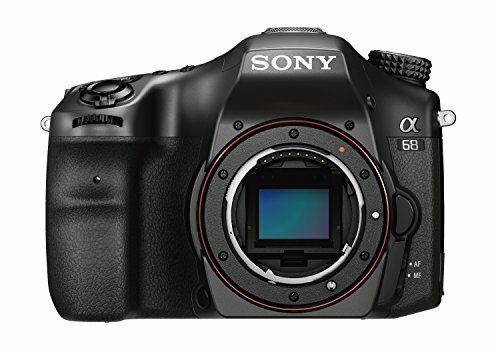 Sony A68 is a rendition of A58 that did not have many high-end features or specs. 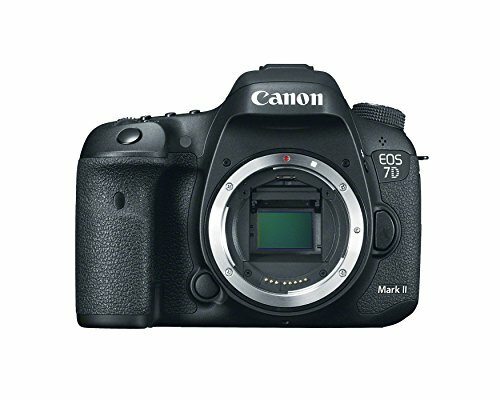 A68 boasts several features that we see in many advanced versions such as A77 II. One of the most special features of A68 is the improved and better autofocus mechanism. Considering the price, introducing the 4D autofocus was bold. This autofocus system allows you to expand or distribute the points across a wider image area allowing it to be more accurate. With A68, Sony also upped their imaging components. Although the Bion X is not a new image sensor, it is better than the one available in previous versions. It allows slightly better low light execution which is appreciated by camera users around the globe. A68 has the XAVC S codec which making encoding more efficient. HD recording is also increased to 1080/24p. Overall, the enhanced specs are what sets A68 from A58 and they price at which A68 is available is amazing. Sony leads the market which mirrorless interchangeable-lens cameras and introducing A68 was a smart move. This can compete against several full fledge DSLRs already existing in the market. However, the company has cut some corners with this model in terms of the LCD display and overall built. It is an excellent camera for beginners as well as the enthusiast. If for some reason you don’t want to get Sony A68, then you can go for Sony A6300 priced at $898. A6300 has 3-inch tilting screen, Sony E mount (NEX), wireless, ISO that expands to 51,200 along with a 2359k dot electronic viewfinder, continuous shooting at 11 frames per second and a weather resistant body. Now we know that the CSC market isn’t quite established yet however every once in a while, big names like Sony, come out with a product that shakes the system to its core. Sony A7 was the first ever compact system camera that came out with a full-frame photography sensor. Now the A7 has two variations; the Alpha A7 and A7R with 24.3 and 36.4 million pixel sensor respectively. Now, these individuals may seem a little expensive and in comparison, the Alpha A7 is cheaper. However, when you compare these with other products available in the market you will realize they offer a nice value for money. 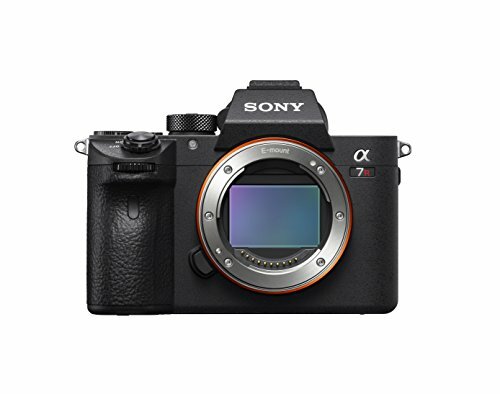 This will shake the market as it continues to grow and from what we’ve seen already, Sony A7 could be the first choice for professional photographers. This one definitely deserves to be a top contender in our top 5 Best Digital Camera list mainly because of the price and features. A7 offers a full-frame photography sensor in a body that is super chic, compact and affordable. One of the biggest problem with Sony A7 is its battery time. Just like RX1 and other models, A7 does not do well at the battery front. As far as enthusiasts are concerned, they might be able to enjoy a lot with A7 because of low battery timing. Sony is the leading contender in camera market and with their latest CSC mirrorless cameras, they are bringing about a change that no one was ready for. People are curious to know whether these cameras are the end of DSLRs. Truth is, A7 isn’t near perfection however it is bringing a massive change by the way users look at cameras with interchangeable lens. Image quality on A7 is spot on however the kit lens is what leaves a lot of room for improvement. It comes with a 28-70mm lens and we would suggest that you stick with the prime lens. A7 also comes with an A-mount adapter for lens which is great for using third party lenses. It is also up to date with the additions of NFC and Wi-Fi capabilities. However, no touchscreen makes us scream because it is 2019. While it is true that you don’t need a touchscreen for operational purposes, we still feel that the omission gets on our nerves. When you look at it from the autofocus perspective, you will realize that setting autofocus points becomes much easier with a touchscreen. Overall it is a good performer and the tilting screen is a nice addition. Since the camera offers a full-frame sensor, electronic viewfinder and impressive screen the battery life is not good. For the size and price at which Sony A7 is available, it is a fantastic choice, to say the least. It is an excellent choice if you are looking for an entry-level camera for beginners. We are still waiting for newer renditions and are excited to see what else Sony has up its sleeves. 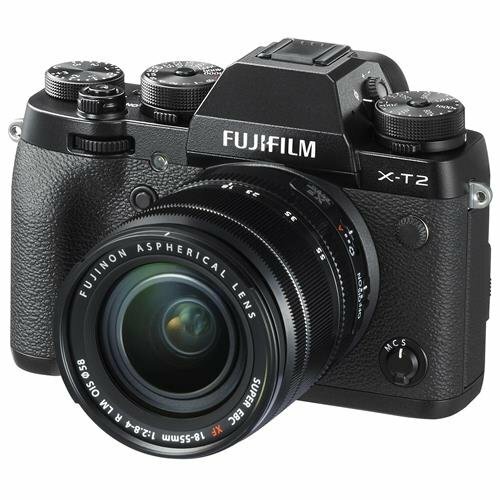 Fujifilm X-T2 boasts the infamous APS-C X-Trans III CMOS 24.3 megapixel sensor with 4K video shooting mode and 3-inch tilting screen. Fujifilm has smartly designed the model with the help of clever filter which allows the camera to pick more details as compared to other designs. No wonder Fujifilm X-T2 made it to our top 10 list of Best Digital Cameras available in the market. The ISO sensitivity has an acceptable range from 200 to 12,800 however it can be extended from 100 to 51,200 without forcing you to take images in JPEG format only. Fujifilm X-T2 allows you to take images at the given sensitivities in RAW format as well. This could very easily be stated as the first mirrorless camera that is fast enough to keep with action photography. Film simulation models in Fujifilm X-T2 are new and impressive. It also boasts the 24.3 megapixel X-Trans CMOS sensor. ISO sensitivity on Fujifilm X-T2 isn’t impressive, users would appreciate with the company would lower it further. Another thing we noticed that most mirrorless cameras omit, is the touchscreen. We believe touchscreens make life easier for professionals and enthusiasts. Ever since the launch of Fujifilm X-T1, it has been a cult classic. Photographers including beginners, professionals, and enthusiasts loved using it and were waiting for its newer rendition. When the company announced X-T2, everyone became anxious and they were right to be excited. With Fujifilm X-T2 the overall appearance remained the same however the company made some groundbreaking changes. The incredible autofocus performance was the biggest upgrade along with the rear display. Autofocus on Fujifilm X-T2 has been greatly improved along with a larger and brighter electronic viewfinder. The sophisticated and polished system delivers a reliable and super-fast performance. If you are looking to shoot in the burst-action mode, this could serve as the Best Digital Camera. This feature fulfills the needs of many working professionals who aspire to do great in this business. With an absence of optical low pass filter, you can increase the quality of the image. With focus lever joystick you can adjust or change the selected AF point. It has X-Processor Pro that can give you a fast performance. With dual SD cards, you can have enough space to store the images. Although improvement in this model can still be made with the ever introducing technology, however with the help of the newer sensors you can capture pin-sharp details. This has become one of the most desirable cameras on the market. According to the company, the two fully charged batteries that come in Fujifilm X-T2, you can take 1,000 shots. There is a headphone 3.5mm jack that you can utilize as well. Fujifilm X-T2 shoots in 4K Ultra-High Definition. Sony is no stranger when it comes to producing high-quality mirrorless cameras. In fact, Sony is the pioneer of providing mirrorless cameras that may even replace the DSLR cameras completely. Sony A7R Mark III boasts impressive upgrades, enhanced performance, handling tweaks with a long last 5-year warranty. This gives the user some peace of mind. With Sony coming out with such cameras, we expect more users to make the switch. While the company decided to stick with the same pixels as A7R Mark II, they decided to borrow some of the newer innovations from Alpha A9. For starters, Sony A7R Mark III has anti-flare coating and microlenses which are gapless. The BIONZ X and front-end LSI combined together to provide a processing speed of 1.8x. Furthermore, the overall handling and appearance of this one have improved drastically. The 3-inch tilting screen is the cherry on the cake with 1,440,000 dots. Sony A7R Mark III is 10 frames per second at the 42.2-megapixel mirrorless camera that boasts the 5-axis IS system. A7R III is installed with the CMOS sensor with a full-frame. It has a bright and large electronic viewfinder and fast autofocus performance. Sony A7R Mark III does not have a good battery life. While Sony A7R Mark III has a touchscreen, it is only limited to certain controls. Another thing that most people hate is that the camera is limited to only a single SD card slot that supports UHS-II. Sony is coming out in full swing giving the established digital camera manufacturers a run for their money. With tweaks and performance boosts that give Nikon D850 and Canon EOS 5DS competition, Sony decided to underplay the pixel game. Sony A7R Mark III stuck with the same megapixels as its predecessor. Sony A7R Mark III has a 42.2 megapixels full-frame Exmor, R CMOS image sensor and a chip that is highly populated. In order to improve sensor’s readout speed, Sony installed the latest front-end LSI. A7R III also has the anti-flare and gapless microlenses along with the new image processing engine-BIONZ X. The LSI and BIONZ X combined to deliver an impressive image processing speed of 1.8x. With some major image processing upgrades, the ISO range remains static at ISO50-102,400. Sony also claims that A7R III will perform better in low lighting because of the impressive 15-stop dynamic range. The Quad-VGA OLED electronic viewfinder boasts a 3,686k dot resolution along with Zeiss T coating that minimizes reflections. Overall, Sony A7R Mark III is one of those cameras that you can buy today without worrying about its performance. It is an impressive mirrorless camera that is accordingly to the latest standards. It easily lands in the top 5 best digital camera category however if you can’t buy this one, Sony SLT A99 II is a good option too. They are both priced the same however it comes down to preferences. SLT A99 is a DSLR camera that is semi-professional whereas A7R III is a mirrorless camera with the same image sensors and megapixels. 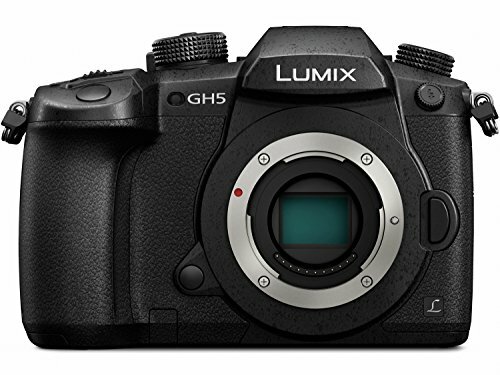 Panasonic Lumix DC-GH5 is the last pick in the top 5 mirrorless cameras category. This top of the line camera has blurred the definitive line between videography and photography. Panasonic Lumix DC-GH5 aims towards videography and hopes that this model will re-invent Panasonic’s image as the top choice for videography. It will also open up the market for people who are looking for a single unit that allows them to take amazing pictures and shoot breathtaking footage. Why we should buy them? Panasonic isn’t playing when it comes to performance, they are using their trusted 1,728-zone metering mechanism that works like a dream for exposure. To be honest, you might not even have to toggle between exposure details to get the desired results. The auto white balance results are also similar. 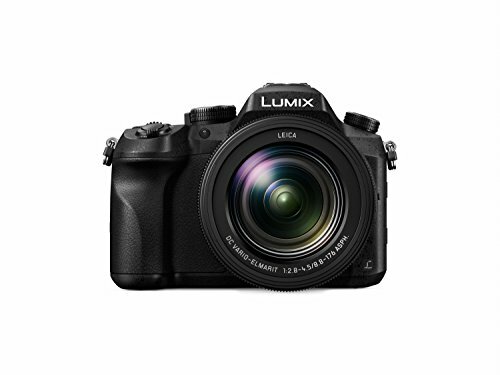 Panasonic Lumix DC-GH5 is what dreams are made of, at this price it offers some of the most amazing video specifications. Targeted directly towards videographers, this mirrorless camera is an excellent choice for those who want a complete package. There aren’t many drawbacks of Panasonic Lumix DC-GH5, since the camera is targeting the videographers its image quality isn’t something that you see on leading cameras. However, it isn’t below average. All GH-series that came before Panasonic Lumix DC-GH5 were only focused on being good video cameras. However, this time around with DC-GH5, Panasonic has come out with the well-rounded kit which aims on perfecting the skills and becoming the top contender for videographers. Panasonic Lumix DC-GH5 is considered to be one of the best 4K cameras available in the market. On the dimension’s forefront, DC-GH5 is relatively smaller than a full-fledged DSLR. Installing the Micro Four Thirds mount was a smart decision as the smaller optic allows the camera to be more compact. DC-GH5 has a touchscreen along with a bright and large electronic viewfinder. The performance is impressive and the built quality, spot on. On the contrary, adding a smaller optic means that DC-GH5 cannot compete with the leading camera’s image quality. A larger sensor will automatically reduce better images but the quality isn’t that low. However, if top quality images are your main concern, then this is something that you need to check out beforehand. So basically if you are looking for a complete package or an all-in-one solution to your photography and videography needs, then Panasonic Lumix DC-GH5 is the right choice. However, Olympus OM-D E-M1 II is a close competitor as they have similar features, price tag, and the same micro four-thirds lens mount. Olympus OM-D E-M1 II is more compact however the video features aren’t as broad as DC-GH5. Panasonic Lumix DC-GH5, without a doubt, falls into the top 10 best digital camera category. It is a mirrorless camera for Beginners, professional, and enthusiasts alike. Point and Shoot cameras are simple cameras that are compact and used for simple purposes. As the name suggests, you need to point your camera at the object and press the shoot buttons. The Point and Shoot digital cameras usually make users’ work much easier by doing everything automatically. You don’t have to focus manually, adjust exposure, white balance or put an external flash device. If we speak truly, new smartphones such as iPhone X or Samsung S9 plus are coming out with cameras that are destroying the point and shoot compact camera niche. However, Sony played it smart and did not attack smartphone cameras but came out with a premium point and shoot camera that produces amazing images. These are better than smartphone cameras but you don’t have to purchase a heavy DSLR camera or mirrorless camera. 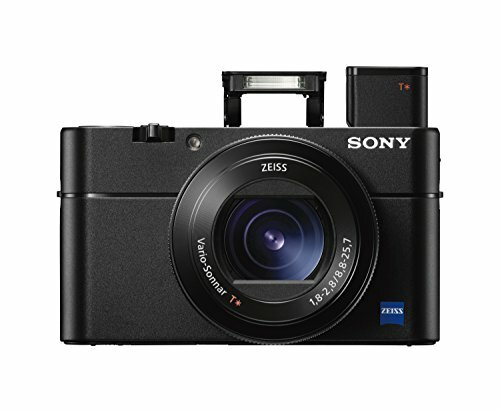 Sony RX100 V comes with 20-megapixel resolution just like the first version from the series. However, the 1-inch sensor is what makes a difference. It turns the low-resolution entry-level camera into a beast. Sony RX100 V is heavy on the advantages but if we had to give our readers the downside of this point and shoot camera, we would say that it is a little pricey as compared to rival cameras, without a touchscreen and has some handling issues. Most compact digital cameras don’t have advanced features such that you’d normally see in a DSLR camera or a mirrorless camera. This is probably the most advanced and compact point and shoot camera that we have yet witnessed. However, this is something that may become a problem for the compact as well. You may end up asking, is the camera too advanced for certain usage? Or how many professionals would actually want a pocket camera. We know the 24fps is something that may attract several users, but the optical zoom of 2.9x limits the application. Considering the price, using Sony RX100 V can be irritating because it is difficult to handle and does not have a handling grip. Sony RX100 V has the Exmor R CMOS image sensor but the memory chips are stacked onto the sensor’s back. This combined with the LSI chip provides unbelievable readout speed. It also shoots at 24 frames per second and you can do so at full resolution whether you are continuously using autofocus or exposure. Sony RX100 V can make videos in advanced 4K mode and provide you with impressive image quality at the same time. Sony RX100 V is one of the best that is out there, it is fabulous and technologically advanced. We believe those who love experimenting and want a compact with superior performance would certainly be attracted towards it. However, there are other alternatives that give impressive results but not as jaw-dropping as the Sony RX100 V. One such example is the Sony RX10 II. While it is a little expensive as compared to RX100 V, its telephoto lens reach is more. The battery on this one lasts a little longer. It has a hybrid AF system that is an apt choice for wildlife photography. The professional photographers can use this digital camera to take slow motion shots. You can have 960 frames per second. It is a very fast pace that can enable you to capture some amazing shots. At the time when Canon PowerShot G3 X was announced, everyone was ecstatic about the massive 24-600mm zoom range. Compared to other Panasonic and Sony rival cameras, G3 X’s focal range is quite vast. Although it is classified as a compact camera, it feels and looks more like a bridge camera. Canon PowerShot G3 X has countless advantages like the 24-600mm lens which produces high-quality images. The ISO sensitivity range is also something to look forward too as well as the impressive dynamic range. Firstly, the viewfinder isn’t built into the body and it is quite heavy for a compact point and shoot camera. Canon PowerShot G3 X does not fit into your pocket and it is very bulky, probably because of the zoom lens. If you want us to be utterly honest with you, then you need to read to complete verdict. Canon PowerShot G3 X left us in awe. Although it does not have a viewfinder, we still love it probably because of the amazing 24-600mm lens. We expected the image quality to be on the average side because of the 1-inch sensor and extraordinary focal range. Truth is, it was much better than what we expected. Throughout the zoom range, the details captured were good. Thanks to the nine-bladed aperture you get to create beautiful bokeh images which are smooth. Images in the RAW, as well as JPEG format, look equally good and the colors come across as natural. It can achieve a balance between high image quality and high sensitivity. The sensor that is attached to this device enables the device to collect light in time to give the best quality of the images. With DIGIC6, you can add a whole new experience to your still and video image quality. Face detection focus tracking and autofocus for stationary objects work beautifully. However, if you are looking for the AF servo mode for action tracking, this will turn out to be a disappointment. We truly believe this won’t be used fast-moving action tracking however you can shoot videos and capture moving objects. With Canon HS System you do not have to worry about the light as it captures amazing shots whether there is sufficient light or not. While it may be a little too bulky or not the most good-looking compact camera on the market, the functionality and performance is what we are down for. Everything is quite up to the standards and the image quality is remarkable. Lumix series is well known for providing the users with extraordinary super-zoom cameras. The reason why Panasonic Lumix FZ2500 is on the top 5 list of Best Digital Cameras is that it has employed a 1-inch sensor on a camera that turns to be better than what most would expect. Panasonic Lumix FZ2500 gives a direct competition to Sony RX10 III and Canon PowerShot G3 X. Good thing is, you can now record videos in 4K shooting mode and the optic upgrade allows you to capture professional footage. Panasonic Lumix FZ2500 comes with ND filters built into the system, zoom lens 24-480mm f/2.8-4.5mm. Panasonic Lumix FZ2500 offers impressive video and image quality which a quick autofocus system. Image stabilization on this is quite impressive as well. Although Lumix FZ2500 is more expensive than FZ1000, compared to other camera rivals on the market such as Sony RX10 III it is cheaper. If we look at things where Panasonic Lumix FZ2500 lacks behind, we will clearly see that there’s a lot going on. Lumix FZ2500 is not weather resistant, which is a big turn off more most of us. The price is almost double than FZ1000 and the lens isn’t the brightest or the longest. Panasonic Lumix FZ2500 is a striking point and shoot camera with an impressive performance. Consider is an advice, use FZ2500 for video recording particularly and we promise that you won’t be disappointed. The 4K shooting mode tops many expensive interchangeable lens cameras. Lumix FZ2500 is specifically targeted towards those photographers who want expansive optic and control over video. It is the best choice for video and photography enthusiasts. If you want to use Panasonic Lumix FZ2500 you won’t be disappointed either as there’s so much to like. For starters, its autofocus mechanism is superior and even if you plan on using it for subject tracking the results will amaze you. There are no optical irregularities and using low ISO won’t result in image noise. Built-in ND filter is essential for creative video shooting. The Variable Frame Rate (FRT) allows you to record videos with slow and quick motion. LCD and Electronic View Finder on the FZ2500 perform well and the touchscreen is like an added bonus. Users can use it for several purposes such as setting focus points and ease of usage. Overall it’s an excellent competitor in many aspects however it may lack behind in image quality in comparison to the Sony Cyber-shot RX10 III. With LUMIX FZ2500 Venus Engine, enable you to capture the high-quality image. In direct sunlight, you can have large OLED Live View Finder that helps you to set a perfect frame. To achieve ultrafast focus, DFD (Depth From Defocus) calculates the distance from the subject. You can also enjoy macro photography. You can take the pictures of flowers and insects with a minimum focusing distance of 3 cm. This is the era of 1-inch type sensor, where big names like Sony and Panasonic are introducing them in their flagship compact digital cameras, Canon cannot stay behind. Canon PowerShot G7X Mark II is the point and shoots camera that has come out with the one-inch image sensor. You may ask about its advantage, it allows you to take impressive images in low light with excellent image quality. Canon PowerShot G7X Mark II is an excellent choice if you are looking for something that performs well in low light environment. The tilting touchscreen gives you some option with manual controlling options. Sadly this point and shoot camera do not come with a viewfinder and the zoom range is also quite limited. The video shooting resolution goes up to a maximum of 1080p and there is no sign of a full-fledged 4K video. The screen isn’t completely articulating either. 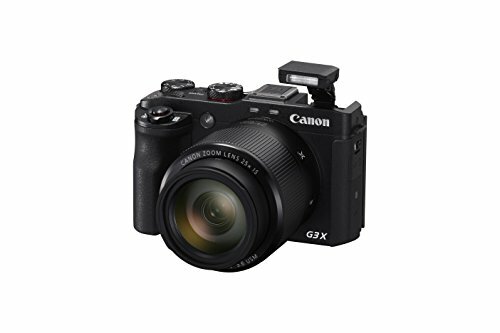 Canon PowerShot G7X Mark II can be quite intriguing if you are looking for a replacement of an old compact or backup camera. It would have attracted even more users if the screen was fully articulating. At least now the screen tilts for awkward shooting positions. Thanks to DIGIC 7 processor, the operational speed of the camera has increased. Luckily G7X Mark II’s battery life is phenomenal so you can take it on your trips and feel relaxed. Image quality on Canon PowerShot G7X Mark II is top notch as its predecessor. The colors are punchy, bright and you don’t have to worry about low light photography. G7X Mark II has got you covered there. Its optical image stabilization is quite impressive and the camera gives you raw format shooting options as well. The Control Ring is convenient to use and can manually adjust photos. You can also navigate menus with this feature. The manual controls on Canon PowerShot G7X Mark II will attract enthusiasts. If you’ve used DSLR cameras in the past, you will find it difficult to use this compact point and shoot camera because of no viewfinder. The most understandable reason as to why the big guns are skipping EVF altogether probably has to do with the compact point and shoot camera’s size. 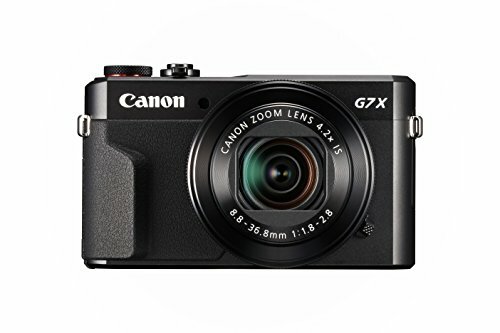 With Canon PowerShot G7X Mark II the manufacturers are providing you with a good DSLR alternative as it is a high-performance compact point and shoot camera. With continuous shooting, you can enable to have some amazing images. You can shoot 8 frames in one second. It does not waste your time and entry-level enthusiasts can enjoy this feature and improve their prowess. The tilt-type touch screen can give you the freedom to compose self-portraits. With Picture style function you can adjust different presets like brightness, contrast, etc. to give your image a perfect result. It has built-in WiFi that helps you in transferring files to compatible devices and vice versa. Ever since the PowerShot G1 was introduced in 2000, it became a go to compact for enthusiast photographers. While Fujifilm and Sony came out with impressive compacts, Canon somehow missed the mark even with its 1.5 inch sensor G1 X Mark II. This is why they came out with a bang with G1 X Mark III. Canon PowerShot G1 X Mark III uses a 24.2 megapixel APS-C CMOS chip. This is the same one used in Canon’s high-end EOS 80D DSLR. The touchscreen interface and the compact size have been reinvented for G1 X Mark III. It has a built-in electronic viewfinder which we are completely in love with. Probably the most notable upgrade for a compact point and shoot camera is the sensory enhancement. Canon PowerShot G1 X Mark III is a compact camera and it boasts the APS-C image sensor. Overall Canon has introduced a solid camera that succeeds all check in terms of performance. While Canon PowerShot G1 X Mark III is an impressive point and shoots camera, it does not have good battery timing. Canon has tried to stay at the top of the market with their phenomenal DSLR cameras but when it comes to compact point and shoot cameras, they always missed the mark. However, when Canon PowerShot G1 X Mark III was introduced, everyone realized that Canon isn’t paying anymore they are coming for the big ones. They introduced a large APS-C sensor in a compact body, it was bold and impressive. On top of the large sensor, they featured a unique zoom lens which mesmerized several users out there. However, the price is not something that everyone was doing for, you can easily find good mirrorless and DSLR cameras in this price range. But if you want an all-in-one premium compact point and shoot camera, then it will attract you. Considering everything in regards to the performance, price and appearance Canon might have finally made it in the list of top 5 best digital cameras. Especially for enthusiast photographers who are looking to add a compact camera to their DSLR kit. The built-in EVF enables you to see the high details if you are working in a sunny day. 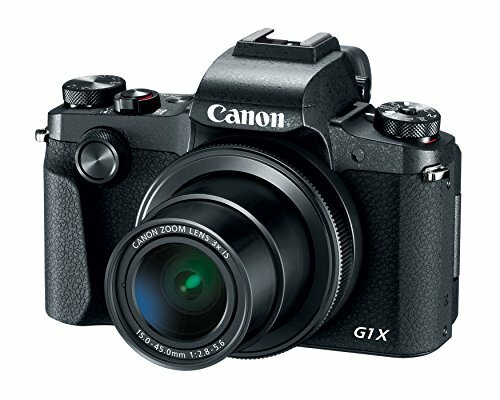 If you are looking for an alternative for Canon PowerShot G1 X Mark III, Canon PowerShot G1 X Mark II can be an excellent choice as it is half the price. G1 X Mark II has bigger pixels and the dynamic range plus low light photography is better. This could be because of the larger lens aperture and extended telephoto lens reach. With DIGIC image processor you can produce high image quality. It has a vari-angle touchscreen LCD that enables you to take creative shots. The word DSLR stands for Digital Single-Lens Reflex Camera. In the most general sense, a DSLR camera has a mirror fixed inside it that reflects the light commencing from the lens, directs it through a prism and then to the optical VF. Here’s the thing, we all know that it is a reiteration of D3300 and usually in such cases, the product is only rebranded with minor details. With Nikon D3400 they’ve made it a little more compact, improved the battery life and introduced a couple of new features. Along with some upgrades, Nikon has also remodeled the kit lens. It has an inner barrel that is retractable and a new design that avoids focus and vibration switches that we’ve seen all around. Nikon D3400 has a super light, compact body with amazing battery life and it is extremely easy to use. This is what makes D3400 an ideal camera for beginners. Its autofocus performance with single shot capacity is also impressive. 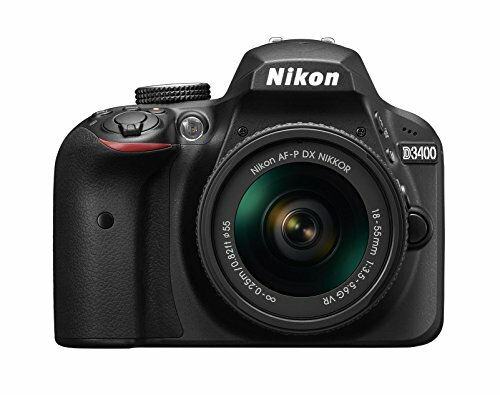 Nikon D3400 does not offer a lot of connectivity options making it less attractive in today’s technologically advanced era. Not a lot of people have the time of connecting it via cable or using the SD card for transferring files. Nikon D3400 is an excellent entry-level DSLR camera and it offers a lot as a camera for beginners. It is lightweight, small and perfect in its own right. While most of the specs in this model as similar to its predecessor, it still offers a lot. Video and image quality is above average and the ability to process RAW images within the camera is what most beginners love. Since it a Nikon DSLR, it is compatible with the Nikkor glass. You are able to get the most out of the optics because of the low-pass-filter-free sensor. Battery life on this one is something worth noticing, it has a 1200 shot battery life that many mirrorless cameras don’t offer. With Nikon Snap Bridge you can take the photos and instantly transfer them to your compatible device. This is the feature of the best DSLR camera produced by Nikon. Snap Bridge can offer you a whole new experience of sharing files. Nikon cameras are known for their focus ability. This device too lie its predecessors follows the same quality of focus. You can focus on the subject and get a breathtaking result of the images. As an entry-level camera, it is super easy to use all thanks to the guide mode that is built into the camera and direct controls. This is an excellent camera to start off with as it gives you plenty if accessories and backup lenses. If you are looking for another camera that might work as an alternative for Nikon D3400, then Nikon D5600 is a good option. Although it is a little pricey but the tilt-swivel touchscreen allows you to shoot with flexibility without restricting you to certain angles. Nikon D5600 takes 0.02 seconds to start whereas Nikon D3400 takes 0.5 seconds. It also has built-in Wi-Fi and NFC. 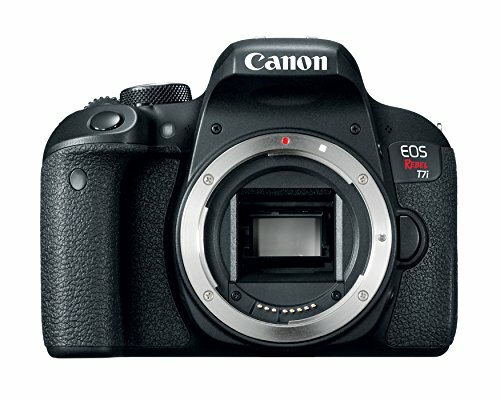 According to the company, Canon Rebel T7i comes with some massive improvements in terms of performance and features. While Canon did not specify what changes they made, some obvious specs included the 24.2 megapixels APS-C CMOS sensor and 3-inch vari-angle touchscreen. Compared to Canon REBEL SS2, Canon REBEL T7i is more advanced AF. It has a wider AF working range which makes it better than the former. You can find auto exposure bracketing in this digital camera. It has a longer battery life than Canon REBEL SS2 which makes it easy for the professional photographers to rely on it in crucial times. It gives the enthusiasts a fast and continuous shooting with 6 frames in a second. It has a powerful pop-up flash. It has an optical viewfinder that gives you the view same as what the lens sees. It lacks the top display and rear wheel which can be problematic for entry-level enthusiasts. It cannot edit the RAW files like you can do in higher-end cameras. With its optical viewfinder, you can see the image displayed on the lens. This enables you to take the best shot with digital camera. Moreover, with 45-point all cross type you can bring the subject in focus as quickly as possible. The main entry-level option that Canon offers is a small APS-C DSLR camera. If you look at it without the lens you will observe the uber vulnerable area. The autofocus in this mirrorless camera works in a fine manner. It has the high ISO output with best picture quality. It has a built-in WiFi technology that enables you to connect to your devices. You can easily transfer files to your compatible devices and vice versa. One of the best features that REBEL T7i has is the NFC icon. The presence of this icon in the DSLR camera enables you to connect to your compatible devices by simply touching the icon. This feature is alluring enough to convince you to buy the product. Bluetooth connectivity allows you to pair with EOS REBEL T7i. It has a vari-angle touch screen that enables you to compose and review photos smoothly. You can tap on the screen to snap focus. It also has a two-finger touch gesture that can help you to zoom in or change the image. With IS6 you can minimize the blurry effect and can watch the videos without any interference. Available as presets, there are a number of creative filters that you can vie before taking any shot. For still images, you have the option like Bold, Water Painting and Fisheye effect. For effects for video include Dream, Old Movies, and Memory. With high-speed continuous shooting, you can continue capturing shots without any sort of interruption. You can take up to 6.0 frames in one second. With HDR mode you can capture natural photos that have bright details. With videos, you can do the same. This digital camera offers you amazing features and specs that are useful for both professional and entry-level enthusiasts. It has an autofocus technology that can give you Live View: Dual Pixel CMOS AF. In addition to this, it comes with Dual Pixel CMOS AF that provides you an efficient and apt autofocus if you are in Live View still image mode. One can find it to be the best feature in DSLR camera. For enthusiasts, the engineers have given built-in wireless technology and camera connect app that further enhances the experience and gives you versatility in shooting. With ISO range of 100–12800 (H: 25600) you can shoot in a variety of lighting conditions. For entry-level and camera for beginners, this might be an appropriate choice. The big winning move for Canon is their Dual-Pixel CMOS video autofocus that is compatible with 103 Canon EOS lenses. A new trend emerging among the mirrorless cameras is the built-in WiFi facility. Unlike D7100, it lacks dual card slots. It does not have an earphone plug which can make videography a problematic task. There is a little improvement in low-light. It can give you a completely new experience of still images and video. With Dual Pixel CMOS AF, it has the potential to alter the outcome. This digital camera also provides you a smooth autofocus and gives the best result that is the hallmark of Canon. Built-in WiFi is an indispensable feature and can work as an additional advantage for entry level or beginners. It enables them to share their work. With powerful DIGIC 5+ Image Processor, you can shoot up to 7.0 frames in one second. Moreover, it has an extended ISO range of 100-12800 that enables you to work smoothly in undesirable lighting conditions. HDR, HDR Backlight Control, Multiple Exposure, Handheld Night Scene, and Creative Filters are some in-camera imaging features in real time. These features can help you in turning an ordinary photo into a spectacular one. This product by Canon has the potential of giving you an experience worth appreciating. 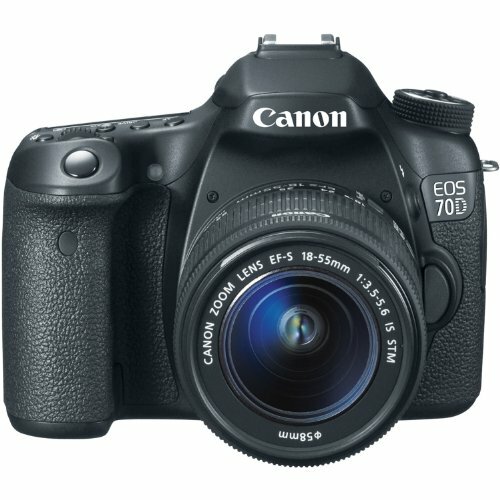 The Canon EOS 70D digital camera comes with an APS-C CMOS sensor and DIGIC 5+ image processor that gives you a high-resolution image. The vari-angle design of the Canon product gives you a view from both high and low angles. Its compatibility with Canon STM lenses can give the entry-level beginners a worthwhile experience. It is compatible with Canon EF lenses. The wireless technology that is built-in in the DSLR camera enables you to share files with ease. Using an android an iOS, you can operate the camera’s exposure settings which include aperture shutter speed, focus and shutter. It offers the highest pixel count with 20.2 Megapixel CMOS (APS-C) sensor. It gives you an amazing capture. The first of its kind, this DSLR camera is the first product by Nikon that has its back-side illuminated (BSI). It gives you an extraordinary and best quality of the image with an enhanced ability of light gathering. It has an array of pixels with a dense nature that eliminated any risk of moiré. With D800, the users were given a chance to experience high speed. Five years later, Nikon comes up with this product and completely revolutionized the DSLR cameras. With dynamic range sensitivity, Speedlight control, shutter, battery life and autofocus this mirrorless camera gives you a comprehensive product in its own kind. Another amazing feature is its tilt and touchscreen that gives you a better view and shot. For those who want to make a video in silence, they can always turn on Silent Photography in Live View. This feature enables many professional photographers to capture the moments in complete silence without any sort of disturbing sounds. As compared to EXPEED 4, EXPEED 5, this DSLR camera has the ability to process 45.7 megapixels of data. The dynamic range of this mirrorless camera is greater as the ISO is lower. This feature makes it sensitive to every minute detail. Its negative digitizer is not fully ready to help the professional as well as enthusiasts entry-level. It has autofocus issues that do not profit the users of DSLR camera at all. The slots for both the cards are not SD and usage of XQD is obsolete. Sony, the makers of the card would be shocked to know that. The fact that it has an illuminated back-side (BSI) is an additional advantage for the camera for a beginner. It means that the sensor that collects light is closer to the surface of the chip. This increases the efficiency of the sensor thus improving performance in low light. 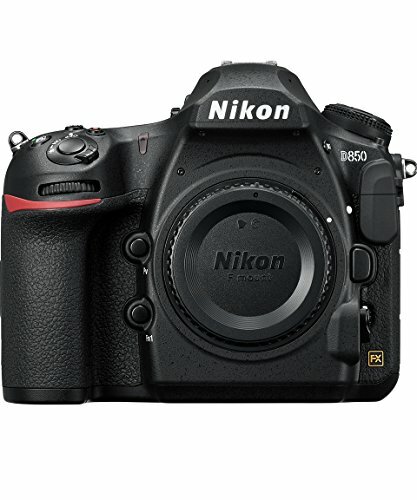 Like its predecessor, Nikon’s D850 also gives you ISO 64 mode. It gives the point and shoots camera the ability to bear the bright light conditions. It has an extraordinary speed that has been aforementioned. In addition to this, it has the AF features which include all the hardware, AF module, AF processor and AF metering sensor. The DSLR camera has the ability to shoot up to 60p at 1080 resolution. With a slow mode, it can capture 120 shots in a second. With Nikon’s SnapBridge App you can save yourself with a tardy job of transferring files using wires. This application synchronizes your DSLR camera with your laptops and tablets hence making it easier for you to transfer files. It has language support that can help different countries in understanding the features as well as understanding the method of operating the DSLR camera. It comes with in-camera picture control modes that allow you to set the priority before capturing the pictures. It is a single lense reflex camera that is designed to meet the requirements of professional photographers as well as videographers. With this product, Canon made sure to provide you the best experience and to make challenging shoots simple and elegant. With dual pixel CMOS AF, you can enrich the Live View and videography. It has a rugged shutter design that enables you to shoot 20 frames in one second. The 20.0-megapixel sensor gives you a stunning quality of the images with precision and clarity. This digital camera can make the videography and photography a refined experience for professional as well as for the enthusiasts. With full HD 60p you can have a compendious image quality. The best feature of this digital camera is its improved custom controls. This point and shoot camera help you with an easy connectivity. It is not in any way different from any current generation APS-C sensor and delivers the same quality in the still side mode. The staggering image should not be a decisive quality behind making the purchase. In order to benefit from the buy, you must read this section as it will help you in making the right choice. It provides a great and diverse range of artistic opportunities to the professional photographers. The product by Canon has dual card slots. They are for both CF and SD cards. It has a built-in GPS that offers you convenience in location tagging. Furthermore, it has USB 3.0 connectivity which makes it easy for you to transfer files without much hassle. It acts as a host for EOS accessories and is compatible with the collection of EF and EF-S lenses. If you are shooting fast moving objects or shoots that require a keen sense of focus, then 7D Mar II is a perfect choice for professional photographers. It gives an enriching experience to entry-level beginners with its specs that have no parallel. It has 65-point autofocus system which comes out as the best in the digital business. It is compatible with Digic6+ processors that allow you to capture 10 blistering and acute frames in a row. Canon’s videography is amazing and has led many buyers to request for additional features. Canon has fulfilled some of the requirements but its result is same as 5D. It can give you the best result of image quality as well as video quality in low light. If you get into full frame mode then it might offer you some amazing and eye-catching result with a focus on precision. An amazing experience of shooting stills in Live View becomes more enhanced as you enjoy the liberty of looking at the LCD instead of the viewfinder. In terms of its image result and usability Canon has given the best digital camera product. With the best collection of DSLR cameras and mirrorless cameras, you have ample choice. If you are given a chance to buy this gadget for your use, you might face a number of challenges. Too many opportunity costs may bring you down. To save yourself from such a hassle, you can rely on the following buying guide that can help you in making an apt and appropriate choice. This will help you in the long run. Let us begin with the ultimate buying guide. The very first step that is involved in buying a camera is the type that should be determined. There are a number of types that can boggle your mind. Make a choice according to your need. This can be your personal device that you can carry to formal and informal events. They are different from SLRs in many ways and one is the presence of viewfinder. Some of them are similar to the disposable cameras. Advanced models have automatic focus and variable apertures. Some of them have zoom lenses and pre-flash systems that can reduce the red-eye. These cameras save you from the hassle of swapping lenses. They can allow you to shoot wide angle as well as extreme telephoto images. They are smaller, economical and light in weight. The quality of the image is same is point and shoot camera but it is better than a smartphone. Some of them have GPS that automatically add a location. Above all, some of them are pocket-sized thus easy to carry. As the name suggests, you can carry this type if you are an adventurer and want to capture moments anywhere near water. If you are underwater or somewhere near water then this is the best choice. Some of the cameras also offer interchangeable lens mirrorless cameras. The lenses are tough and can withstand any pressure. The screen has the anti-glare technology and a water repellent coating to increase brightness when needed. The number of megapixels does not determine the good quality of an image. So while buying this type you should think about other aspects as well. You should pay attention to lens focal length instead of just zoom factor. The display resolution should be big in size for a better performance. If it has a good low light performance then you would need less flash. Look for image stabilization in this device. This would compensate for your shaking hands while taking a picture. If you can get your hands on HD then this will be the best choice. It can be a daunting task as there are a number of options that are available. You should first check the lens system as it has an option of interchangeable lenses. They have a built-in lens that gives you an optical zoom. It also has a variable aperture and small sensor. Most SLR lenses can also fit in these models. The viewfinder should also be your focus while buying this model. Wireless functionality is an additional feature in these models. They enable you to connect to the WiFi and also help you in sharing files. You can have a wide range of lenses in DSLR cameras as compared to a point and shoot camera. DSLR has a big sensor which means less noise and better image quality. It has reflex mirrors that enable you to see through the lens instead of the hole in the camera. The specs in digital cameras are essential for a perfect result. We can help you in selecting the best specs. The sensor is the film of the digital cameras. There are many types and to compare them would be a waste of time. One of the functions of the sensors is to ensure that light does not affect the result of the image. Micro-4/3rds Sensors are favorable for point and shoots. They come with a feature of interchangeable lenses. APS-C sensors gather 15 times more light than a 1/2.5” Type sensor and 2.4 times less than full frame. You can find these sensors in Nikon DX, Pentax, and Sony E. Full frame sensors are equivalent to 35mm film and are found in DSLR cameras. It measures the actual increase in the focal length. Always choose the camera with a powerful optical zoom lens. This means that you will not have to magnify your subject and there would be no need to crop the image afterward. Without light, you will have a large pile of black images. A number of types are available in the market. Some have built-in flashlights that are present in compacts and DSLR cameras. Hotshoe flashguns are available in a number of types. These are found in TTL metering and AF system. This provides an optimum exposure thus giving the best image quality. Ring and macro flash are designed for macro photography to penetrate and reach the minute details while capturing the objects. 4k is a video specification that just means 4000 pixels. It is a more detailed spec in cameras. With this, you can get more clarity on your videos. The footage is sharp as compared to 1080p. If you are buying a camera then it should be compatible to function in this mode. You may have to upgrade your camera if it does not already have it. It has the ability to take 30 frames in one second. So that is brilliant and helps the professional users to compose creative pieces. The advanced models have this spec and if you need it then it might cost an arm and a leg. Megapixels determine the quality of the picture. The number of pixels depends on the digital camera that you are buying. There are a number of other things like focal length, automatic focus etc that play a poignant role in giving a perfect image. The habits of consumers are changing rapidly. For this, there are a number of things that you can try before buying the product. You should be sure about the size and weight of your camera. It depends on the choice of your device. The portable ones are easy to carry and devices like DSLR cameras are heavy. With technical evolution, the size and weight of the digital cameras are changing thus becoming more handy, portable and light in weight. So it solely depends on your choice of the device. As discussed above, there are a number of controls that come with the digital cameras. The built-in facility of WiFi can enable you to share files quickly. You can adjust the features and can also use the preset features for perfect images. Some digital cameras have applications that allow you to connect the camera with your compatible devices. So such controls can make the experience enriching.